Enhance Your Daily Drives with the Ram 3500 in Kingston, NY. Want to complete hard work with ease? Then take home a new Ram 3500! This heavy-duty Ram pickup truck is a popular choice at L. T. Begnal Motor Company because it can carry and tow impressive loads. In addition to its capability, our customers love this vehicle for its design which combines functionality with comfort. So, if you prefer a more accommodating ride, then buy or lease your new Ram model today at our Ram dealership in Kingston, New York. Performance: The Ram 3500 is a one-ton pickup truck. Therefore, it outperforms conventional options. You just have to choose a model with the powertrain that suits your needs. There are two choices for an engine: the 6.4L HEMI® V8 and the 6.7L Cummins® Turbo Diesel I6. Although both are paired with some form of a 6-speed transmission system, their output varies. Durability: A heavy-duty pickup truck must withstand substantial demands, which is why the Ram 3500 is built for resilience. To ensure it can handle every workload, its frame is made of hydroformed steel with the strength of 50,000-PSI. Welded with extra crossmembers and integrated with an advanced suspension system, it bolsters stability without compromising flexibility. 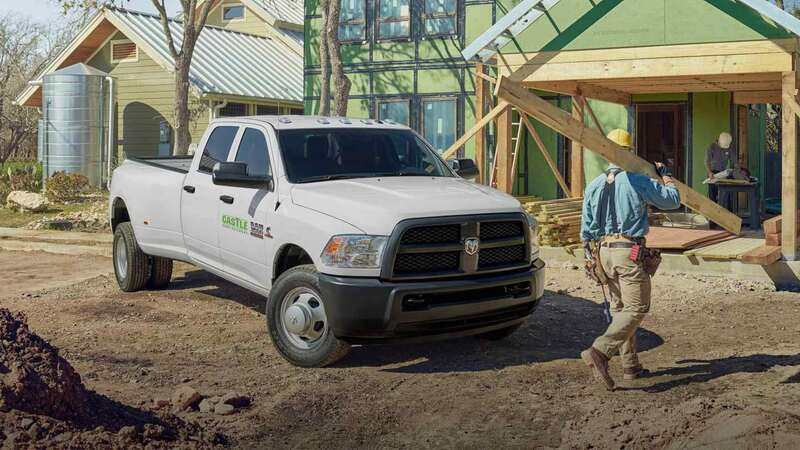 In other words, this new Ram model will operate effectively and resist the wear and tear of toils around the job site. For reassurance, all models are offered with a comprehensive Powertrain Limited Warranty to provide coverage on some major services and repairs during ownership. 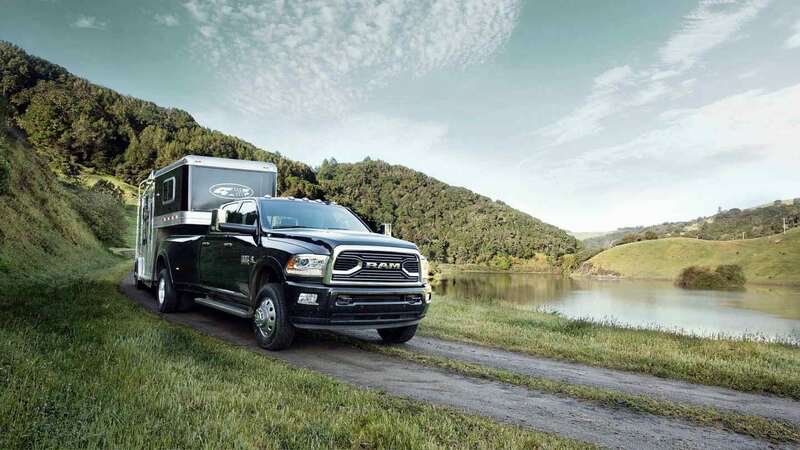 Convenience: The Ram 3500 is not just a mode of transportation but also a tool, which is why you will find it offered with many helpful amenities. The RamBox® Cargo Management System, for example, is an optional feature that will make it easier for you to store and secure your equipment. Another great addition is the Cargo-View Camera and ParkView® Rear Back Up Camera. With these monitors, you can keep an eye on the contents of your truck bed and back into a parking spot without a hassle. ParkSense® Front and Rear Park Assist and Electronic Range Select are a few more examples of the innovations you have access to when you drive this Ram truck. Which Ram 3500 Will You Select? 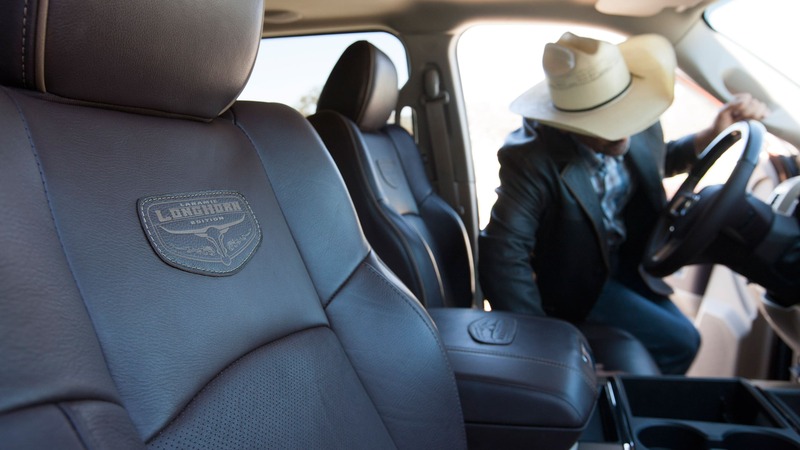 Currently, the Ram 3500 is available in six trim levels: the Ram 3500 Tradesman, Ram 3500 SLT, Ram 3500 Big Horn, Ram 3500 Laramie, Ram 3500 Laramie Longhorn®, and Ram 3500 Limited. Those who pick a higher trim can enjoy upscale elements like leather-trimmed seating with a heat setting, a dual zone temperature control unit, and more. Otherwise, the standard model is built with many benefits named above, so you can count on satisfaction no matter which one you choose. Ready to claim your new Ram 3500? Great! Then we hope to hear from you or see you at our Kingston dealership soon. If you would like additional information before you proceed with a purchase or lease, then we invite you to speak with our experts. 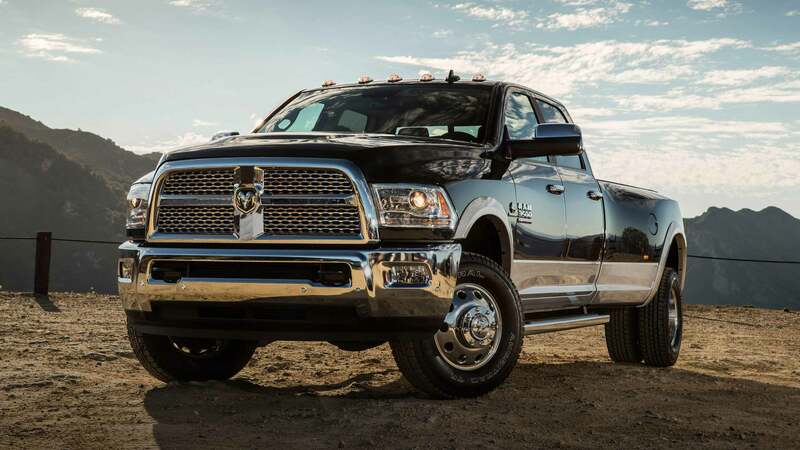 Just contact us online or by phone, and we will answer all your questions about our new Ram truck offers and schedule you for a test drive so you can learn more. With our support, you can make a confident decision by the end of your visit!